(CNN) -- Singer Stephen Gately, a member of the Irish band Boyzone, died Saturday while vacationing on the Spanish island of Majorca, the group's Web site said Sunday. 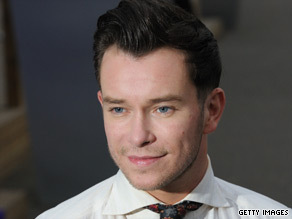 Stephen Gately was on Majorca with his partner, Andrew, when he died, according to Boyzone's Web site. His four bandmates were to travel to Majorca, the posting said. Gately, 33, was in Majorca with his partner, Andrew, the Web site said. It did not offer Andrew's last name. No further details about Gately's death were immediately available. Boyzone made history in the United Kingdom with 16 consecutive Top Five hits, according to Ticketmaster's Web site. It's one of Ireland's best-selling bands, with six No. 1 singles in the United Kingdom, and four No. 1 albums, Ticketmaster said. The group, which separated in 2000 to pursue solo projects, reunited in 2008. Its greatest hits album -- "Back Again ... No Matter What" -- was released last year. Gately joined the band in 1993 after answering an audition ad. "A lot of people didn't think we would make it out of Ireland back then," he said previously on the group's Web site. "We were overwhelmed when Boyzone began to take off, it was incredible."